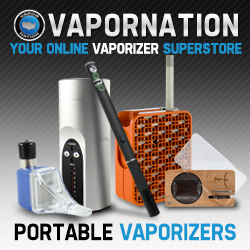 Need help finding the Best Vaporizer for you? In recent years, more and more people have come to appreciate the fine use of a vaporizer. While some people prefer them for tobacco, others use them for medicinal purposes. For those that are already ill, it is a great alternative to a smoke form, which is harsher and less consistent in delivery. There are many different vaporizers on the market for people to try. Often, reading reviews about the available products gives people a better idea of which ones they want to try. This is a brief review of four of the most popular vaporizers in 2014. The Magic Flight Launch Box is one of the newer, more affordable vaporizers on the market today. It is portable, making it possible for people to use it while on the go. Constructed of pine, this little box is effective and operates on a single AA battery. It is very simple to use. After loading and closing the vaping chamber, an indicator light will come on, showing that the product is being conducted. When the light goes out, it is ready to use. You then take a long slow drag from the glass stem that is included as part of the product. The compact Pax Vaporizer is a high quality product that is constructed with surgical grade stainless steel and a casing of anodized aluminum. The sleek design is available in four colors: onyx, amethyst, emerald, and cobalt blue. Simple to use, the vaporizer is compact, making it an ideal choice when going away from home. It takes about half a minute for the unit to heat up. Then, your tobacco or medication can be placed in the chamber to heat up. There are three different temperature settings. Even at the highest, your product will not burn. There is an indicator light for each of the different temperature options. The intensity of the vapor increases along with the temperature. This gives you greater control over your experience. 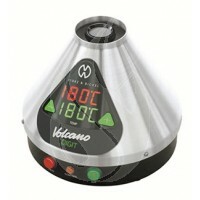 No review of vaporizers would be complete without a discussion of the German made Volcano Vaporizer. More expensive than most vaporizers, those that own this product stand by the high quality vaporization process that is accomplished with it. It addition to the classic model, the company now has a digital version available for a slightly higher price. The classic model has a dial with nine different temperature settings. The digital one allows users to set the temperature to an exact number between 266 and 446 degrees Fahrenheit. Each model comes with your choice of Easy or Solid Valve. The Solid Valve is very durable and can be reused as long as you clean it regularly. It is also less expensive than the Easy Valve. The Solid Valve has a variety of balloon sizes available to work with it. The Easy Valve comes with one size balloon and does not require any cleaning. This product is different than the other three mentioned. It works with liquid cartridges and is an electronic cigarette device rather than a traditional vaporizer. These are a great product that is much better than some earlier brands that had problems with leaks. The battery in it lasts a long time, making it convenient for long periods away from a charger. It is important to note that the product needs to be inverted when refilling the liquid cartridge. For someone looking to give up the cigarette habit, the 777 is a great product to use. The ease of vaporization and high quality of the construction make it one of the best products available on the market. It comes with five additional atomizers when you first purchase it. If you are going to carry it with you, protect the mouthpiece. Otherwise, you may end up with lint in it. If you want to check out a few more of the cool pen style vaporizers much like the 777 e cigs check out our review of the Vaporfi Pen Vaporizers. Another great brand and well known for their quality and testing check out V2 Cigs Series 3 Pro vaporizer. Each of the previously mentioned products have some great points. All of them are excellent for breaking an addiction to cigarette smoking. 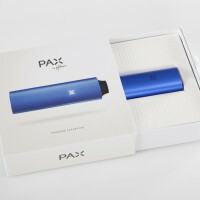 The Pax and the Magic Flight Launch Box are both fantastic for when you are on the go. They are compact and easy to use discretely. For at home vaping, the Volcano is the best choice around. And, if you are looking for an electronic cigarette style of device, the 777 has one of the best designs and levels of functionality around. One of these products is certain to meet your vaping needs. If your not interested in these 4 we are adding new vaporizer reviews all the time so be sure to bookmark our website and check out all our updated recent reviews.